Next week, the future of Schlecker Austria will be sealed. The insolvency manager Arndt Geiwitz is optimistic to find a buyer for the Austrian subsidiary. 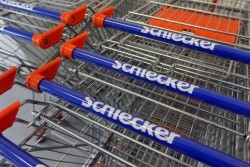 There would be good prospects for the survival of Schlecker Austria.